Château Fieuzal has been owned and managed for over three centuries by winegrowers in love with their profession. The terroir (soil + microclimate) is exceptionally well-suited to making quality wine. Originally called “Gardères”, the estate takes its name from the Fieuzal family, owners until 1851. 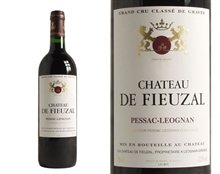 Fieuzal’s vines cover some of the finest gravely rises in the entire Pessac-Léognan appellation. The soil is meagre, well-drained and naturally conducive to produce great wine. Viticultural methods are traditional and great respect is paid to the environment. The resulting grapes are concentrated and full of all the goodness from the soil. The wines of Fieuzal are rich and opulent, in keeping with their fine worldwide reputation.